Sorry for the delay in getting this up, we’re still working on repairs to our house caused by hurricane Irma. 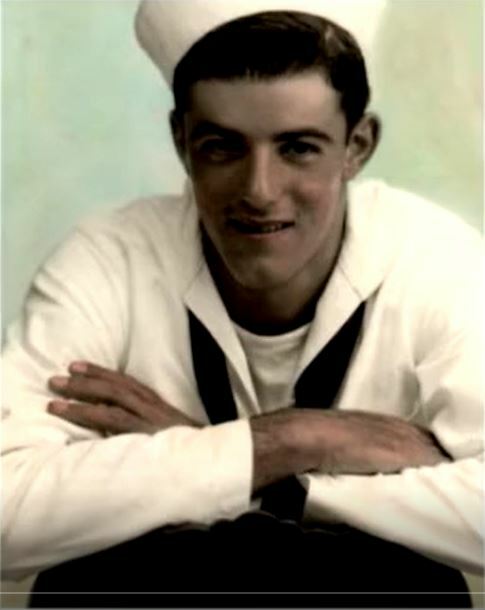 ZANIN, Frank, a United States Navy World War II Veteran, a retired pipefitter, who will be remembered as a loving, giving family man, passed away, due to complications from a fall on October 2, 2018. He was 94 and lived at the Amethyst Gardens in Peoria, AZ. 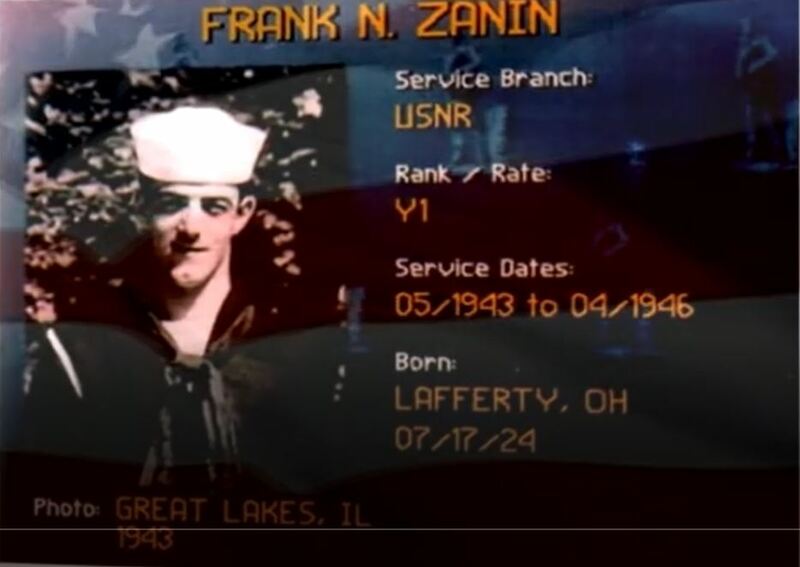 Born July 17, 1924 in Lafferty, Ohio, Frank was a first generation American from Austria. He was the son of Vincenzo, a coal miner, and Genoveffa, a homemaker. He was a delightful story teller. Although life in an Ohio coal mining town was challenging for everyone, Frank’s stories kept listeners either on the edge of their seats or roaring with laughter. Upon finishing high school, he began his working career in the coal mines with his father. This was literally back breaking work, and although his father worked his entire life while in the United States in the mines, Frank chose to follow a different path. 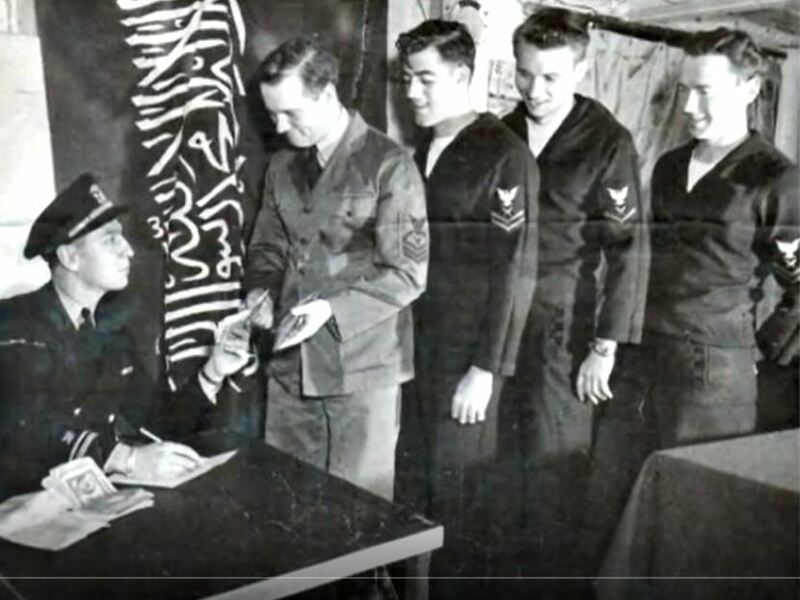 Two life changing parts of his journey were completing training to be a welder and enlistment in the US Navy at the time of the second World War. 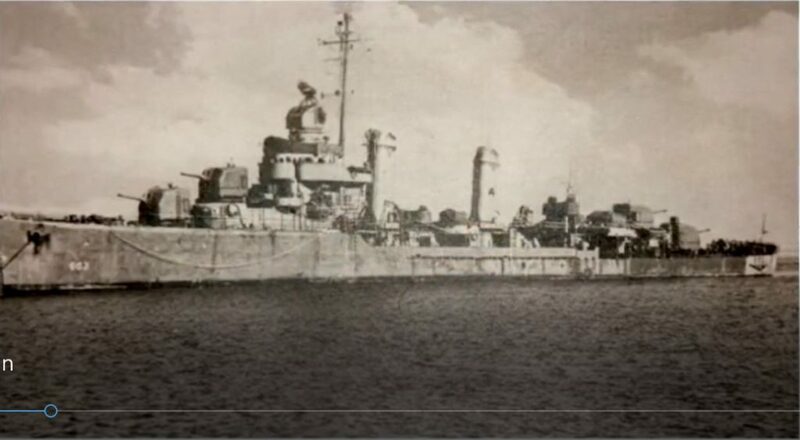 Serving aboard the USS Murphy (DD-603), a Benson Class destroyer, he made numerous Atlantic crossings including aiding the invasion of the coast of France on D-Day. There was little laughter when he told these stories. 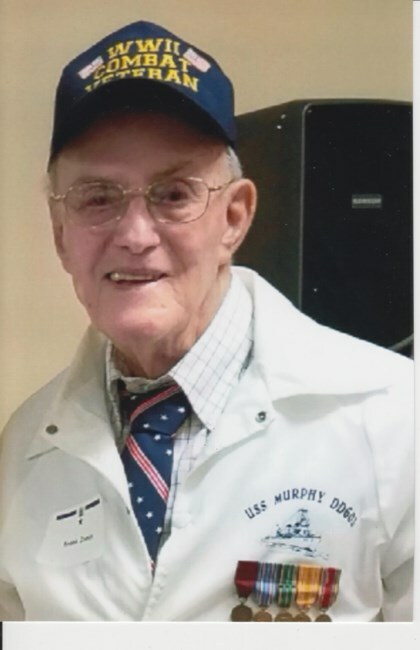 He was so thorough in the details, chills would go up and down one’s spine as he recounted storms, drills, attacks from enemy aircraft and the smoke screen laid down by the USS Murphy to avoid Nazi cannon fire during that historic invasion of Normandy. 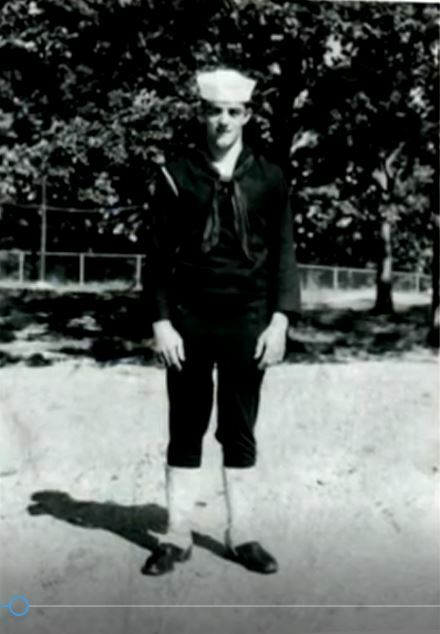 The USS Murphy, with Frank aboard as the Yeoman, also traveled to Africa, through the Panama Canal, on to Pearl Harbor and finally to Nagasaki. During a secret mission his ship transported the King of Saudi Arabia to an undisclosed location for a meeting with President Franklin Roosevelt. The ship also protected the USS Sanctuary as it picked up POW’s in the Japanese harbor following the dropping of the second atomic bomb. Once home, his life’s path found him on board a different ship on the Great Lakes, transporting iron ore from sometimes frigid Duluth, MN to various ports in Illinois and Ohio. It was during this time that, while living in Cleveland, he met Gloria Howell, a beautiful young woman who would one day be his bride. 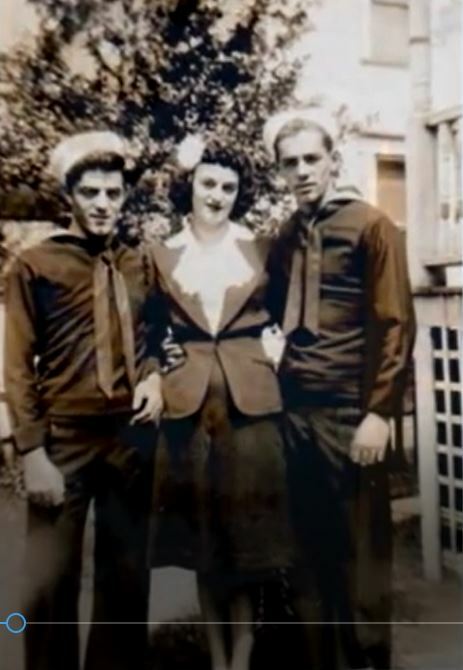 It didn’t take long for that day to occur, and Frank and Gloria merged their individual life’s paths into one journey which spanned 68 years. He always said, “Gloria would come up with the ideas, and I’d build it, or move it or do whatever needed to be done to make those ideas happen.” They lived many of their years in Cortland, Ohio, where one of Gloria’s ideas was to provide excellent child care in a setting larger than the basement in their home. The two of them created and built the Cortland Playroom which received rave reviews from parents, educators and townspeople alike. During his life in Cortland, he served as an Elder in the Cortland Christian Church as well as the unofficial “go to” guy when it came to repairs. These included just about everything from top to bottom…the high steeple to the boiler in the church’s basement. He was also very active in the Cortland Optimist Club where he served as Treasurer and then later as President. He was tireless in helping with projects that would benefit youth in the area, including building, along with Gloria, the “Imagination Station”, which provided playgrounds and ball fields for all to use. He retired from Packard Electric in Warren, Ohio in 1986. He and Gloria moved to Surprise, Arizona in 1998 to begin a new life in the sun and the desert. The two of them made numerous friends and enjoyed family time. Frank worked on his golf game, and was truly a friend’s friend. His life was one of service to others, and he thoroughly enjoyed doing things for them. His grandchildren loved the endless hours of adventures they shared with their “Poppi”. Loving and giving family man just begins to describe Frank. He will be greatly missed by his daughter, Pam and her husband Rick, daughter Susan and her husband Ed, and son Frank and his wife Patrea along with his 5 grandchildren, Jessica, Travis, Patrick, Joseph and Vincent, as well as his 3 great grandchildren, Lilian (Jessica), Vivian (Jessica) and Jack (Travis). His beloved wife, Gloria, passed away in 2016. A Celebration of Frank’s Life will be Sunday, October 21 at 2:00 pm at Surprise Funeral Care, 16063 W. Bell Rd., Surprise, Arizona. Frank and Gloria will be interred together, in Cortland, Ohio in the Spring of 2019. More information will follow. In lieu of flowers, donations may be made to the Veterans Heritage Project, www.veteransheritage.org. Veterans Heritage Project, 10210 N. 32nd Street, Suite C2, Phoenix, AZ 85028. To sign the guestbook online, and to share your memories, and send condolences and well-wishes to the family, please visit, www.surprisefuneralcare.com.